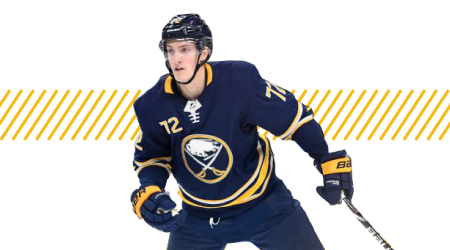 We are pleased to announce that Buffalo Sabres forward Tage Thompson will be coming to the Dave & Adam’s Superstore in Williamsville for his FIRST EVER Buffalo area autograph signing on Monday, February 11th at 6pm! Coming out of the hockey program at the University of Connecticut, Thompson was drafted #26 overall in the 2016 NHL Draft. He was acquired by the Sabres in a trade with the Blues on July 1, 2018. Thompson has been identified as part of the young core that is determined to lead the Sabres back to the playoffs this year. Ticket pricing starts at $12.95.